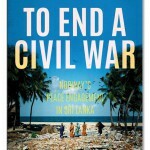 This just in from my publishers Hurst: the ebook versions of my book ‘To End A Civil War‘ are now live globally across all platforms. Apparently the easiest way to find them is through Kindle stores (via Amazon). ← ES interviewed at Ottawa book launch: step up to the plate, Canada!